The road to entrepreneurial success is not straight. There are so many ups and downs. But that road can be easier if we can get an experienced person near us to guild us. Unfortunately, successful entrepreneurs are very scarce and those available have no time to guild you and I. Books written by the entrepreneurs. 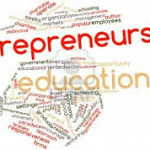 Entrepreneurship books is the only solution to the problems and lack of skills anyone of us can encounter. 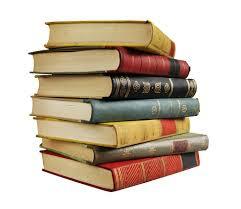 Though entrepreneurs don`t have time, we appreciate them for the sacrifice of their time to write great books. 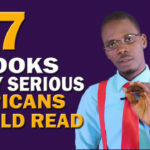 In this tutorial, I will be sharing with you 13 wonderful business books you must read if you ever desire to be a successful entrepreneur. Some of these books are so great that I can beg you by the name of Jesus for you to read them. Some of them are mind-blowing that I can give you money, if that will motivate you to read them. You can buy 3 of these entrepreneurship books right now from the links that will be supplied below, 1 is completely free and can be downloaded now, while you may have to go out to buy the other 7. We wrote this business course in the year 2013. It was actually for sales until in recent time. This book has changed many lives in Africa. I came across this wonderful book in the year 2007. Wow. It`s a bomb. I still pick this book even up till now to review it. Just as the name sounds, it contains secrets which the rich people know and may not want to tell the poor. It`s a financial and business book I will recommend to any serious entrepreneur. This book changed my life. It`s about negotiation. When I bought it, little did I know how much I would love it. Life and business is all about negotiation. That`s why you cannot do without this business book. Go to the nearest bookstore to you and start your search from there. You may not find this book easily, but don`t rest until you find it. If I lost this book seven times, I should buy it the eighth time. Peter Drucker is recognize as the mother of modern management. He is a business genius with such a unique approach to creativity and business success that makes you think really hard. I love this book and I recommend you buy it in a bookstore near you. I own so much to Brian Tracy. I have read more of Brian Tracy`s books than any other single author. If I have my chance, I would have listed 5 of his books among these 13 but that will not be fair. This book is about time management. To succeed as a business person, you have to know how to manage your time. That`s what this book will teach you. Paul Getty was once the richest man in the world. Inside this book, he reveals his secrets. How to be rich is an entrepreneurship book I will love all potential African entrepreneurs to read. However, there is one part of Getty you must not copy… he loved business so much that he became a giant business owner, but he was a failure at home. He divorced about four times in his life time. So many Africans think money is acquired by luck of some kind. This book will change that mentality. The author of this book proves that there is a science of getting rich. I came across this book in the year 2012 and it changed my life. Because it`s a very scarce book, we have made it available for you on this website, and the good news is, you will pay only a token for it. If you want to build a lasting business, this entrepreneurship book will teach you about how to have a strong business system. Dale Carnegie probably wrote this book before I was born, yet, this is one of the books that set my fit on the road to success. It`s not particularly an entrepreneurship book, but a book about influencing people in positive ways so as to get your needs from them. Since business is all about getting things from people, why won`t you go and read this book now? A book about human psychology. The author claims and proves that human beings are irrational. If you understand the irrationality of men, you can succeed faster in business than if you don`t. This business book will help you to have more sales in your business, believe me. The marketing genius, Seth Godin in this radical business book shows you where the world is going and what has to be done by the entrepreneurs who want to succeed in the new world. Seth Godin discusses how you can market your business like a genius. I love Godin and this book. This is a business training that has changed many lives in Nigeria. This training was written by the ABC team. Robert Kiyosaki said money is an idea. The meaning of that is that, anybody can make much money if he/she could get smart business idea. This business training will open your sight to the gold in the land of Nigeria you have never seen before. This training has nothing to do with theory. It`s a 100% practical business training that will teach you how to get capital to finance your own business ideas. If you read this book and remain the same, please contact us to get your money back. Click here to get any of our wonderful business books or trainings now.